At Luxury & Services Rent, we are constantly evolving our services and adding new prestige cars to our exceptional fleet. In 2017, we have some magnificent additions to take for a spin on the greatest driving roads you can imagine in the Cote d’Azur and beyond. These are some of the new prestige car rentals available this year. The Porsche Panamera 4S is already in our fleet and available to rent in black. This is the latest version of the four-door touring car has new lifting and V8 diesel engine. It has a unique blend of agility, precise handling and comfort and the 422hp makes it a top-level performer. The Porsche Panamera is available for rent at our agencies in Paris, Nice, Cannes and St Tropez. We offer the best Porsche hire in France, which is demonstrated by another new arrival, the Porsche 911 Carrera 4 GTS. The GTS is lower, faster and more assertive than the regular Carrera, places it between the S and Turbo model but means it’s the fastest of its range. It’s the purest driving experience of the whole 911 fleet with 430bhp flat six engine and a top speed of 190 mph. With handling that is second to none, the sporty vehicle can reach 60 mph in 4 seconds and is no better example of Porsche’s exceptional engineering. It will be available to rent from us in June. Also available to rent now is the midsize luxury crossover SUV Maserati Levante with its distinctive front grill. Although it’s around the same size as other crossovers, the elegant lines and distinctive nose of the car gives it some Italian finesse that makes it stand out. It’s Maserati’s most family-friendly offering, but its turbocharged V6 power, sport-focused handling, and an array of technological features give it the edge for those who love ultra-luxurious cars. An Italian crossover from an exotic brand is one of the most tempting prestige cars to rent this spring. We have three new Mercedes arriving in spring. The Mercedes S 500 Coupe is not a new model but it is rarely found at rental companies, and it will be available from Luxury & Services Rent in April 2017. The S-Class range has been designed to balance performance, style, and luxury and it utterly delivers on this promise. With its exceptional lines, its efficient engine, unrivaled comfort, the Mercedes S 500 Coupe is an elegant all-rounder. It has extremely comfortable electronically adjustable seats, which are covered in soft-touch leather, as well as advanced safety systems to protect both the driver and pedestrians. The Mercedes AMG GTS Roadster compares favourably with other sports cars in this category such as the Jaguar F Type and the Porsche 911. As AMG’s flagship vehicle, it packs a powerful punch with a 4.0 V8 engine and 476 bhp of power to reach a top speed of 188 mph. Meanwhile, the Mercedes C-class convertible is a guilty pleasure to drive, but with our rental, it’s a little less guilt-inducing than buying one. The four-seater cabriolet is a beautiful year-round convertible with heated seats. Both of these Mercedes rentals will be available at the end of May 2017. Soon, we will have the Aston Martin DB11, one of the most beautiful cars in existence. It has all the trappings and performance power of other Aston Martins but with a twin-turbo 5.2-liter V-12 engine and an astounding 600 hp. The ridiculously good-looking car has 8-speed automatic, rear-wheel drive and goes 0-62 mph in 3.9 seconds. It’s not just a pretty face after all. 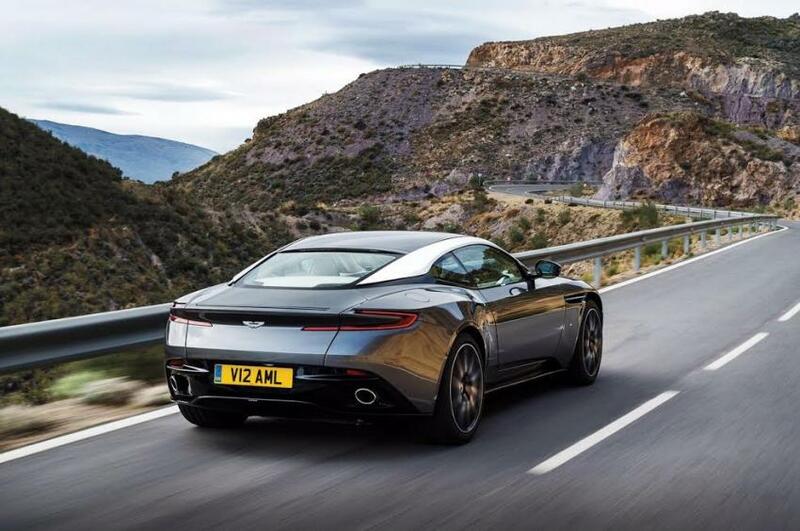 Even Jeremy Clarkson says it’s the best Aston yet and that it’s an “extremely good car. Phenomenally good.” We hope to have it in our fleet in June, so be sure to check our Aston Martin rental in France webpage at the beginning of the summer. The new Bentley Bentayga could be the most luxurious SUV ever built. It’s definitely the fastest. As well as having the most technically advanced engine in its category, it is more than capable off-road on all terrain. Inside, it has all the traditional Bentley signature features of wood, leather and chrome that it is famous for. The new Bentley Dynamic Ride (BDR) system incorporates electrically controlled active anti-roll bars, powered by a supplementary 48v electrical system, which makes it a joy to drive. We will receive the Bentley Bentayga in May or June. Lamborghini has redesigned their flagship model and to make it even better and this stunning vehicle is the result. Full of modern luxuries like 7-speed automatic gearbox and an electronically controlled all-wheel drive system, the Aventador S Coupe is the ultimate road machine; it can reach 0-100 km/h in 2.9 seconds in case you have any doubts. Its futuristic aesthetics are not the only reason this is a more sophisticated version of the Aventador, but with with a V12 engine produces 740 horsepower it won’t wait around for your judgement. It will be available in June. If you are interested in any of these models or any of our other prestige cars, please contact us now.